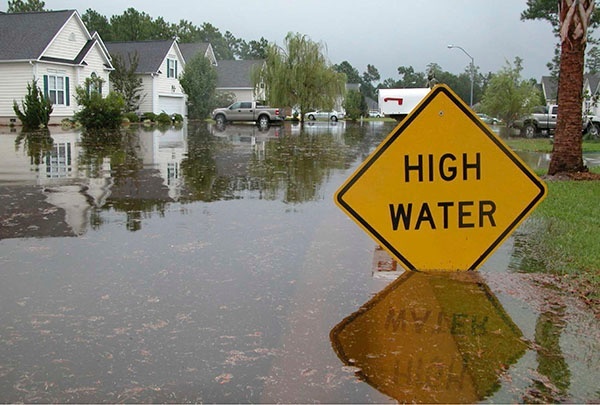 Last week, a new Senate bill was introduced (by a bipartisan tandem of senators) to reauthorize the NFIP for 10 years, along with a study on flood insurance from the General Accounting Office (GAO). Both documents propose expansion of private flood insurance in the US. When added to the NAIC/CIPR’s flood study and the “monograph” (love that term) from the American Academy of Actuaries, the momentum in regulatory circles is clear. We just need something from The Big I to add to the choir. The Senate bill, as mentioned, is intended to reauthorize the NFIP for another decade, but with significant changes. 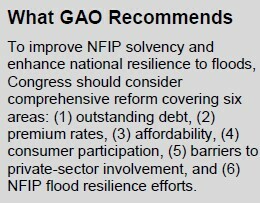 It does its best to juggle the various mandates the NFIP fulfills (flood plain management, flood risk mitigation, lender support, economic growth, along with flood insurance), and thus presents a bucket list of ambitions. As usual, the imperative on the NFIP to serve so many purposes will ultimately jeopardize its ability to be an effective insurer. However, as long as everyone is OK with this state of affairs and doesn’t expect the NFIP to actually be a solvent insurer of flood risk… whatever. Here is a link to Insurance Journal for a summarized version of the bucket list. There needs to be greater regulatory clarity in the role of private flood insurance policies, especially related to lending. There needs to be more data made available by the NFIP, acknowledging the privacy concerns that hinder that data-sharing. Note: there is plenty of data available for underwriting flood now, not everyone knows it yet, though. Regardless of what reform is undertaken, it should be taken slowly, to let the private flood market get more mature first. Some nonindustry stakeholders with whom we spoke expressed concern that private insurers only would offer coverage to NFIP’s lowest-risk policies and leave NFIP with the higher-risk policies, increasing the risk exposure of the program. Similarly, some nonindustry stakeholders with whom we spoke expressed concern that private insurers only would be able to compete for those policies that had premium rates higher than what the private insurers determine to be necessary to reflect their full risk of loss, thus leaving NFIP with policies that had less than full-risk rates. As a result, the decrease in premium revenue could outpace the decrease in expected flood losses. However, some nonindustry stakeholders with whom we spoke that had direct experience with residual insurance programs said that they discovered that private insurers had been willing to insure much riskier policies than they originally expected. One industry stakeholder explained that higher-risk policies can be desirable for private insurers because they have the potential for higher profit than lower-risk policies and a private insurer’s concern is not so much the risk of the individual properties it insurers but rather the correlation of risk among those properties. A nonindustry stakeholder said that insurers were willing to insure higher-risk properties as long as they were geographically diversified and balanced by lower-risk properties. This is excellent – I particularly like the two types of sources (those that know something about insurance, and those that don’t). These comments are driven by the fact the main culprit for the NFIP’s debt is an accumulation problem (i.e. the “geographical diversification” in the lingo from the GAO). The GAO is recognizing that the reason private insurance can work is that insurers can manage their accumulation properly. Meanwhile, the NFIP’s accumulation problems are pre-ordained by the very nature of its program – i.e. underwrite everything in the Special Flood Hazard Area, and very little else. I am writing this blog on a flight from Denver to Washington – the PCI Flood Conference is there this week, and I am excited to see how the conversations around private flood have changed since last year’s event. If the change in the regulatory and trade publications is an accurate indicator, the topic should be white-hot this week.